Cha Ok once was a real journalist, but 14 years ago, she made a choice that turned her journalism yellow. 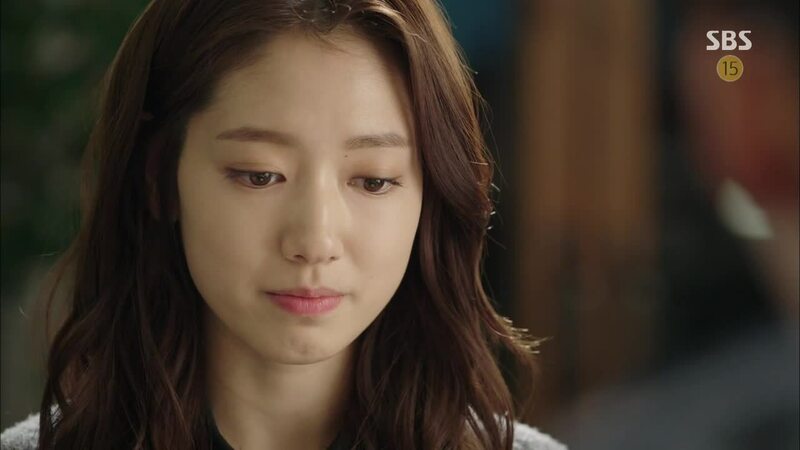 In Ha confronts her mom with the evidence she has now of the connection between her, Beom Jo’s mom, and the politician 14 years ago. In Ha shakes in anger as she slams the envelope containing her mom’s old cellphone and a print-out of the retrieved text messages on the table. She demands to know if Cha Ok is really a journalist. She thought her mom might have really believed that Ki Ho Sang was the culprit 14 years ago, or it was just a mistake on her part. No, she wanted to believe that about her mom. But how she knows Cha Ok was only Ro Sa’s puppet. How could she? How could Cha Ok, as a reporter, no, a human being do such a thing?! In Ha declares she will make sure that this story is made known to the world. Cha Ok asks if In Ha thinks she has the power to do so or that MSC will let her report this story. In Ha replies that she knows she doesn’t have the power or the support of MSC so she will give the information to YGN. Cha Ok reminds In Ha that to do so is to become a whistle-blower and that she will be fired by MSC. In Ha has conviction, though, and she declares she will start over at another network. Cha Ok reminds In Ha of the foolishness of her words. No company will accept a whistle-blower. In Ha will never be able to become a reporter again. Cha Ok reveals that she was just like In Ha 14 years ago. She had learned of the connection between her boss, who is the current YGN news department head, Yeon Do Young, and Park Ro Sa. She had threatened to blow the whistle on them, but just as she is doing now to In Ha, Do Young made it clear to her what happens to whistle-blowers. But if she doesn’t become one, he can help her become big, like the first female to become the metro news captain. What she can offer In Ha now is a permanent place at MSC after her internship ends. If In Ha just reports (or not report) one story that “they” want her to, she can report on 99 other stories she wants to. Cha Ok wants In Ha to make the best decision, not as her boss but as her mom. Cha Ok saw what happened to whistle-blowers personally. She reveals the story of In Ha’s dad, who used to be a rising section chief at a bank way back when. But he blew the whistle on his boss providing illegal loans and found himself without a job. In Ha and her dad are more alike than they each know. In Ha rushes home to her dad after speaking with her mom to ask him about his past. But Dal Pyung has some questions of his own after hearing from Dal Po that it was In Ha’s hair that he found at his house, not some other girl’s. While at first Dal Pyung was relieved to hear that Dal Po hadn’t just easily gotten over In Ha, now he is upset that In Ha was at a man’s house alone at night. So Dal Pyung starts scolding In Ha, toothbrush in hand and toothpaste dribbling down the sides of his mouth. He is wearing a worn down, dirty tracksuit, and as In Ha looks at him scolding her, she is reminded of what she just said to her mom, that she is proud of her dad. But In Ha is not too sure now. It’s a situation that is all to similar to us with Dal Pyung being embarrassed about In Ha after pouring out compliments about her to Dal Po but finding her in a dirty tracksuit and eating with her fingers. In Ha and her dad are so alike- both in their courage to do the right thing, and both in their love AND embarrassment of each other. Doing the right thing is often the hardest thing to do. In Ha brings the evidence to her seniors: Gong Joo and Il Joo. When they don’t know the texts are between Cha Ok and Ro Sa, they are eager to report the story, but when they do find out, their tails go between their legs. They are afraid of being fired and of never being able to be a reporter again. They have responsibilities to their families and need a livelihood. They can’t bite the hand that feeds them. In Ha looks disappointed in them so Il Joo asks In Ha if she can really blow the whistle and if she is ready to give up being a reporter. While In Ha says she can, she hiccups, revealing how scared she is really. In Ha is disappointed in herself and is frustrated, not being able to make a decision even as she is walking into the lobby of the YGN building. That is, until she sees Dal Po. As soon as she seems him, her hiccups stop. In Ha smiles as she gazes at Dal Po, her mind made up and her heart settled. He asks her why she is smiling, and she just tells him that she had a lot on her mind but they all disappeared when she saw him. She hugs him, wondering why she was even hesitant in the first place. At a cafe In Ha hands Dal Po the evidence she has- the text messages between Cha Ok and Ro Sa from 2000. She watches in pain as Dal Po reads through the texts that instruct Cha Ok to use his father as a veil to cover the real culprit. She trembles along with Dal Po and cries as he cries. When Dal Po describes how his father became a criminal in everyone’s eyes just because of a few texts messages, In Ha confirms, feeling embarrassed over what her mom did. In Ha made the right choice, no matter how hard it was, because she loved Dal Po. And her love keeps her by his side through his anger and pain. She is there to bind up his hand after he crushes his glass cup in anger. She is there to encourage him to report this story and there to receive his thanks with a reassuring smile for giving this evidence to him. It’s not that In Ha loves her mom less than Dal Po. In fact, it’s greater than what Cha Ok thought. In Ha packs up her things from the reporters’ room at the Han River police station. She heads to MSC to hand in her resignation letter (with reason stating she is quitting because she can’t say what she wants) and does, even after she is told she will be made a permanent employee of MSC. Cha Ok demands to know why In Ha is doing this and In Ha replies it is because she wants to apologize in her mom’s stead. Because Cha Ok didn’t do the right thing 14 years ago and is refusing to apologize now, In Ha is doing all this now for her. Cha Ok asks why In Ha is apologizing for her and In Ha replies with a piercing and unexpected answer: “Because I am your daughter.” No matter how many times she told herself that since her mom abandoned her, she can let go of mom too and just think of her as a stranger. But she couldn’t let go of mom’s hand, like a fool. So while Cha Ok can only cause pain for In Ha, In Ha is able to find shelter with her dad who holds her hand as she holds his. He comforts her and tells her he is proud of her when she cries into his shoulder asking for reassurance that she did the right thing by becoming a whistle-blower like him. In Ha not only has her dad but her grandpa as well, who offers to pay to for her language school. In Ha is going to learn how to drive and learn English, as well as look into other careers now that she quit being a reporter. He and her dad are encouraging and supportive, telling her it is not wrong to say what needs to be said. Beom Jo makes a different choice from In Ha, but does he really? 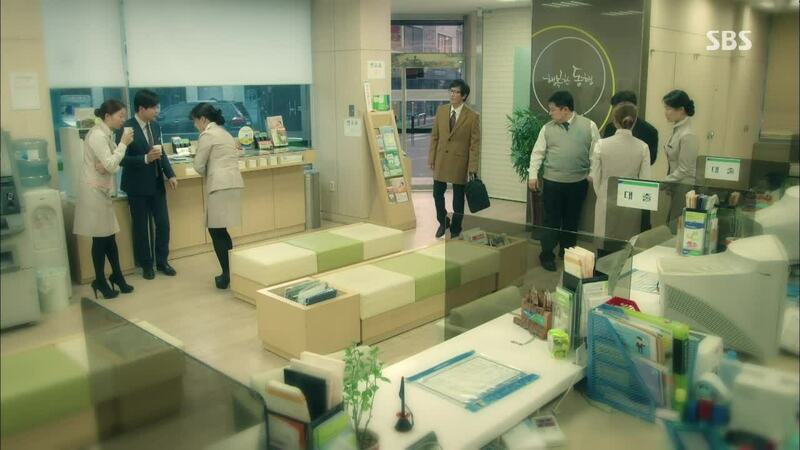 Beom Jo rushes to his mom, just like In Ha did to hers after reading the text messages. He wants his mother to explain, to tell him she is not really as horrible as these text messages show her to be. But all she asks is who else saw these messages. She will only talk to him after he quits being a journalist, so Beom Jo immediately calls Gong Joo to quit MSC. 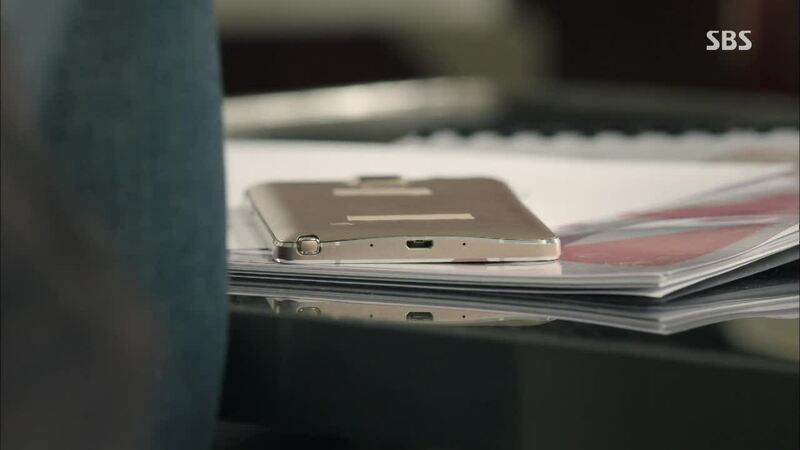 But suspiciously, the camera focuses on Beom Jo’s phone lying on the table face down after he hangs up and right before his mom starts talking. Ro Sa admits that she sent those messages to Cha Ok. She wanted to protect a congressman who was helping her business. He was the one allowing the illegal dumping of waste at the factory and it was nearing election time. She only wanted to use Ki Ho Sang as a brief distraction until the elections where over. She didn’t expect it to become that big. Plus, what she did isn’t a crime, Ro Sa declares. All she did was provide a favor to someone who was helping her business. Doing business is like farming- you have to get down and dirty to reap the harvest. And she’s been farming for the past twenty years to reap the upcoming harvest of millions of dollars, but bugs keep causing a problem. “And it’s so annoying!” Ro Sa whines. The fact that he lived his whole life enjoying the fruits of his mom’s media manipulation eats away at Beom Jo, causing him to take the FULLY CLOTHED SHOWER OF DESPAIR. 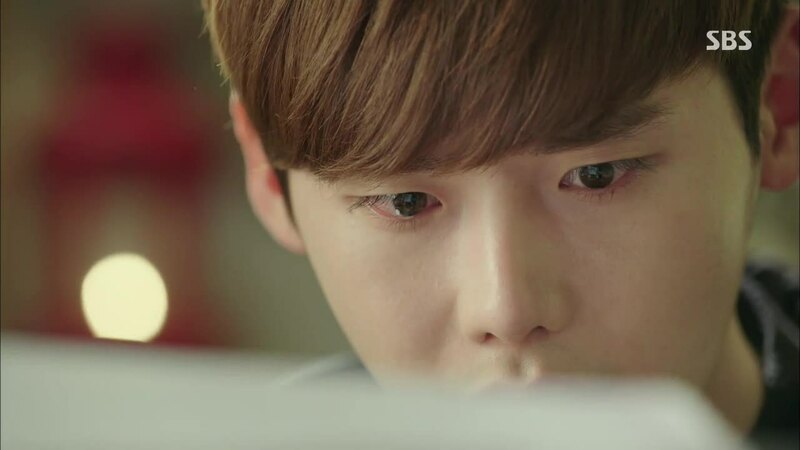 Beom Jo makes a decision, a decision which makes him cold and unresponsive to In Ha. Instead, he advises her to just let it go, since whatever they report won’t hurt his mom much. He himself is going back to his original place, meaning he is quitting journalism and helping out his mom with the business. Beom Jo is by his mom’s side when she meets with Cha Ok at a art gallery, buying paintings by a congressman’s wife. Ro Sa lists that buying paintings, sending congratulatory money, and manipulating news are just some of the ways to help out the politicians that support her business. 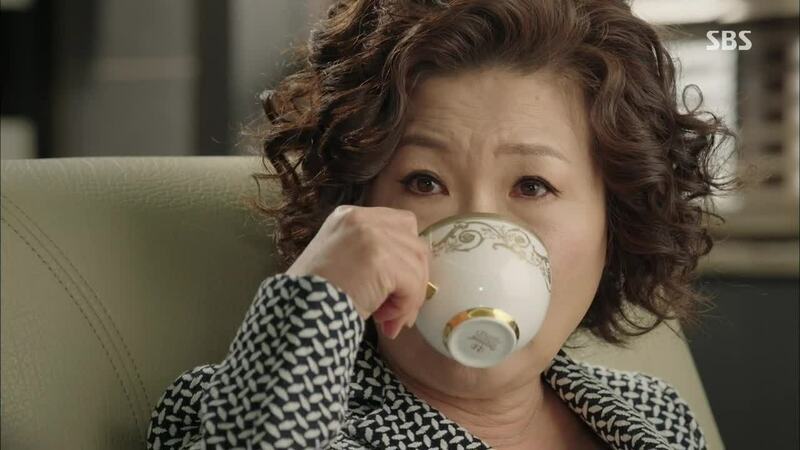 So is Beom Jo secretly recording his mom, still being a journalist? I say he is. In Ha and Beom Jo had to make a choice between protecting a loved one or being a good journalist. So did Dal Po. 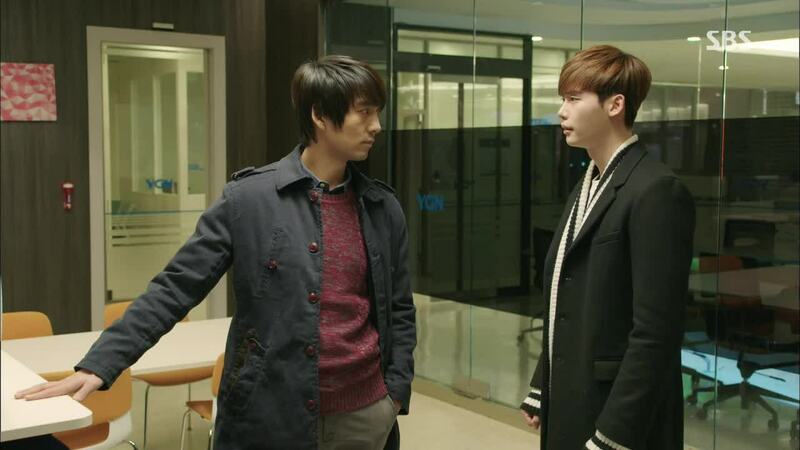 Dal Po shows Gyo Dong the evidence that In Ha gave him and Gyo Dong, feeling a righteous anger, instructs his team to work on the story. Dal Po gets to work, interviewing Ro Sa. She feigns cordiality at first, as well as innocence, saying she doesn’t know anything about the text messages he recites to her as proof of her involvement with Song Cha Ok. But Dal Po catches her mistake in describing the text messages as old- he never stated the messages were old. Ro Sa cuts him off immediately then, no longer feigning cordiality. Still, it’s a win for YGN with even just this footage and he texts In Ha his progress, who texts him back with encouragement. What Dal Po doesn’t know is that while he is out investigating and interviewing people, In Ha is out of a job. He is made knowledgable about this fact from Gyo Dong, who learned this from Gong Joo. 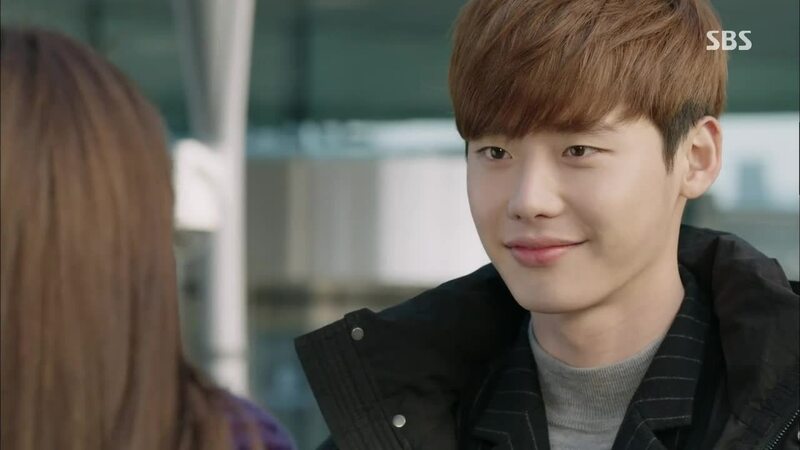 Gyo Dong first puts the investigation on hold and tells Dal Po that what In Ha did in giving him the text is whistle-blowing, which means she is putting her job and her life on the line. He also tells Dal Po that he learned from her captain that In Ha quit. He reminds Dal Po to remember that whistle-blowing is a hard sacrifice and to remember what being a good journalist is about even though he knows how angry Dal Po is about the media manipulation and how much Dal Po wants to release that anger. 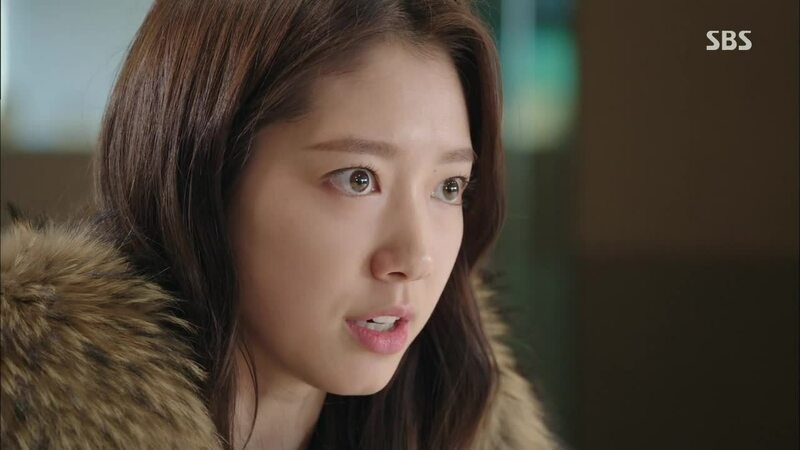 Dal Po angrily goes looking for In Ha and demands to know why she didn’t tell him about her resignation. She tells him it is because she knew he would get angry like this but there is no reason to be. She is fine and she is currently taking classes and will start looking for a job tomorrow. Dal Po tells her that her resignation wasn’t filed yet so she should return. When she refuses, he tells her he is not going to use the information she gave him. In Ha cries, disappointed that this information won’t be used to show how wronged Dal Po’s family was 14 years ago. He comforts her, reassuring her that they will find another way. Later, calmer and eating a their favorite udon place, In Ha tells Dal Po about her mom and dad and the different choices they made in the past about whistle-blowing. Her mom became Ro Sa’s trumpeter while her dad was ostracized at work, quit his job, couldn’t find another one, and ended up getting divorced because of that. In Ha’s dad regrets his decision and her mom doesn’t, or do they? No, In Ha’s dad doesn’t regret his decision to blow the whistle on his boss. 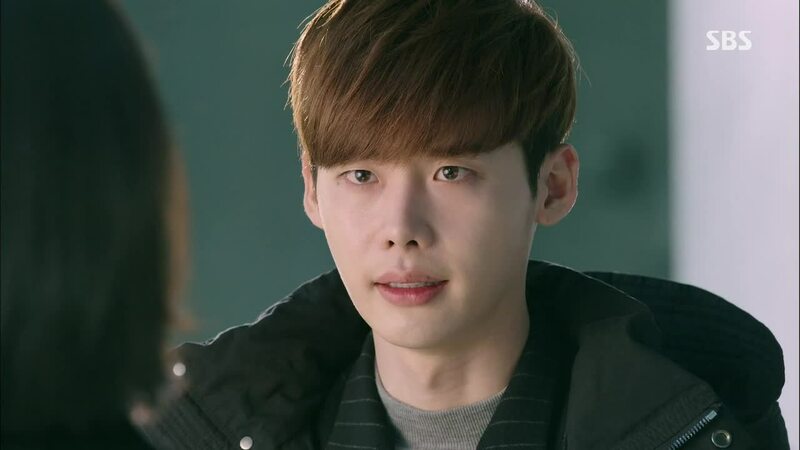 He tells In Ha, who asked him after talking to Dal Po, that what he regrets is quitting his job so fast. He should have stayed and rode it out- that would be his real victory. So In Ha goes back to work at MSC, telling Dal Po that she will find a way while she is inside working as a journalist. 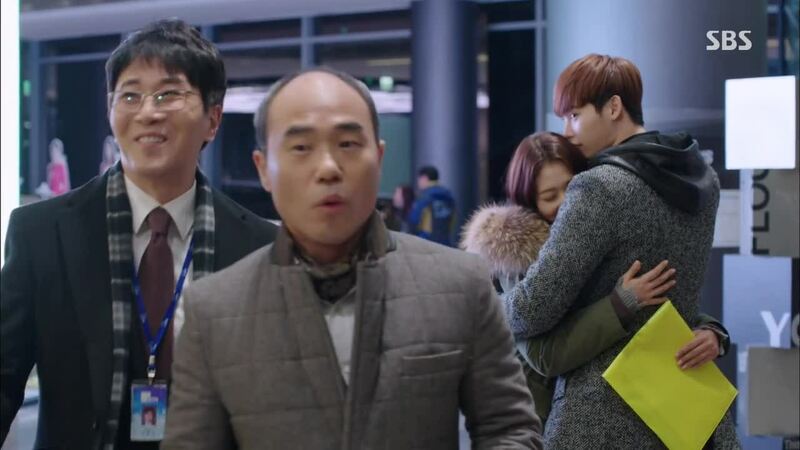 With a lips-to-hand-to-forehead kiss, Dal Po wishes In Ha “hwaiting” and he walks into MSC with her, having his own business to attend to there. Dal Po has come to MSC to question whether Cha Ok regrets her decision or not. He gives her the evidence that In Ha gave him, asking her to report it. In Ha doesn’t have the power to report it and if he does, In Ha will get hurt. Since Cha Ok is responsible for his family’s tragedy, it should be her reporting it. 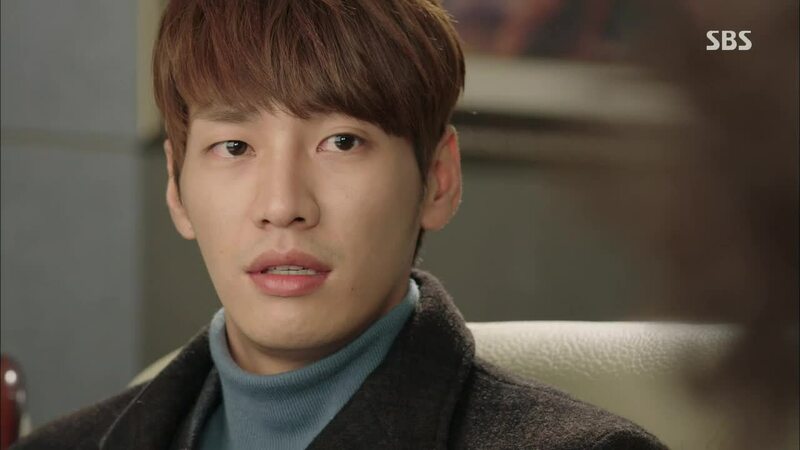 Cha Ok asks Dal Po if he thinks she will really report on this just because of that reason. Is he really that innocent? Dal Po replies that he knows it is a nonsensical risk he is taking. But he wants to believe, innocently, that Cha Ok once wanted to blow the whistle herself, that she was once a real reporter, and that she may be regretting the decision she made 14 years ago. 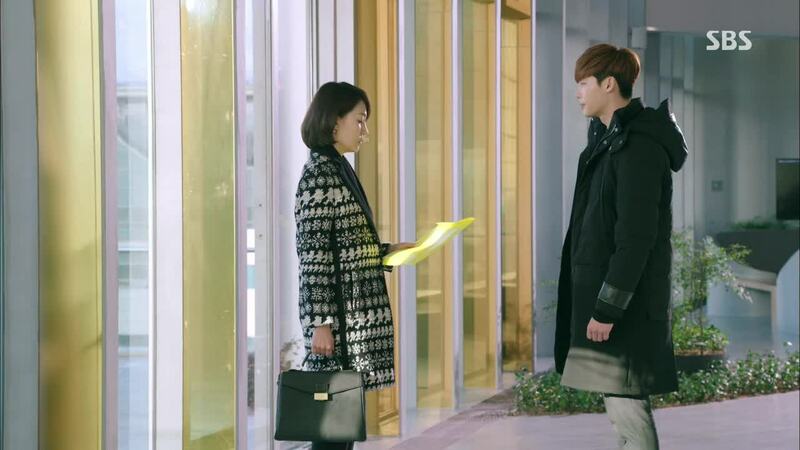 All Cha Ok says to Dal Po as she is walking away with the evidence envelope in her hand is that both Dal Po and In Ha are annoying foolish, that they both are annoyingly nosy, that they both annoyingly get to her, and that they both annoyingly make her feel ashamed. 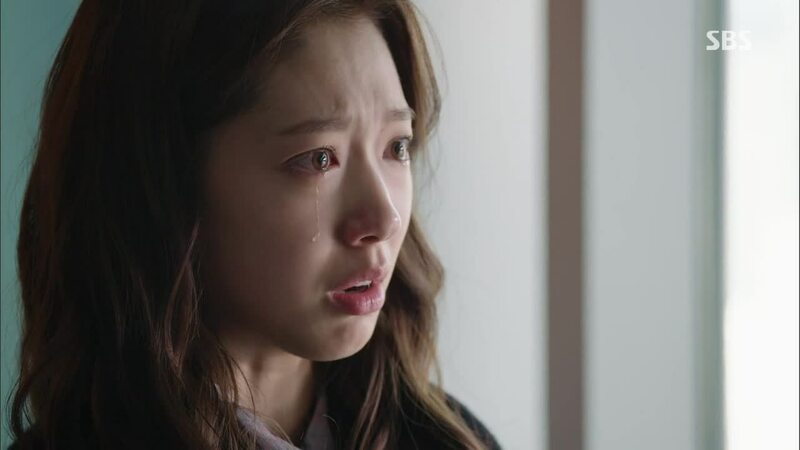 Cha Ok cries as she thinks about Dal Po asking her why people don’t believe her even when she is saying the right thing and as she thinks about when he did the right thing as a journalist and asked if she was really one. 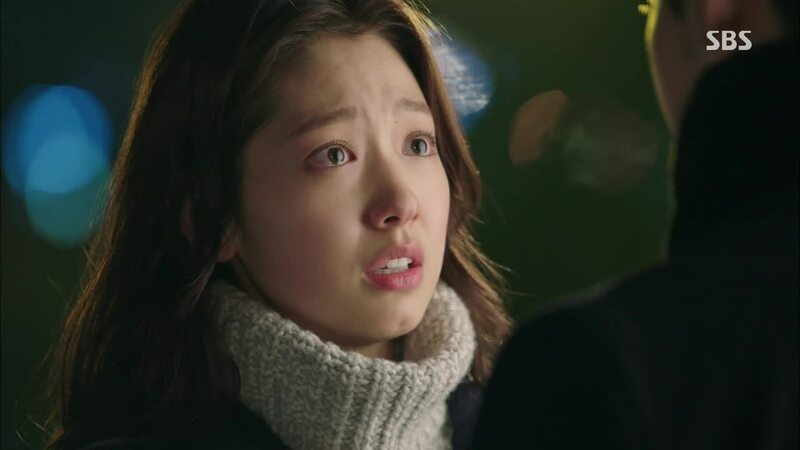 She cries as she thinks about her daughter, In Ha, so foolish in her love for Dal Po and for her. She had let go In Ha go for her own ambitions and desires, but In Ha hadn’t let go of her despite the freedom she would have had to be with Dal Po. Can one bear the scarlet letter of a whistle-blower? In Ha can because of her conviction and love of Dal Po, but Cha Ok couldn’t, her will weak and her ambitions big. She decided that is was okay to tell one lie to be able to tell 99 truths, except that one lie can make the 99 truths useless. As Dal Po pointed out, nobody believes Cha Ok even when she says the right thing. Besides, Cha Ok’s 99 truths became fact+impact in the end. Now Cha Ok is given another chance to bear that scarlet letter. Will she rise to the occasion this time, seeing the courage and passion in her daughter and in Dal Po, feeling the shame of her cowardliness all these years? Thank you so much for the awesome recap! Have a good rest! Thanks love!! You are so fast.!! God bless!! Thank you for the fast recap!!! !